Dr. Philip Siefken is board certified in Internal Medicine and Pediatrics. 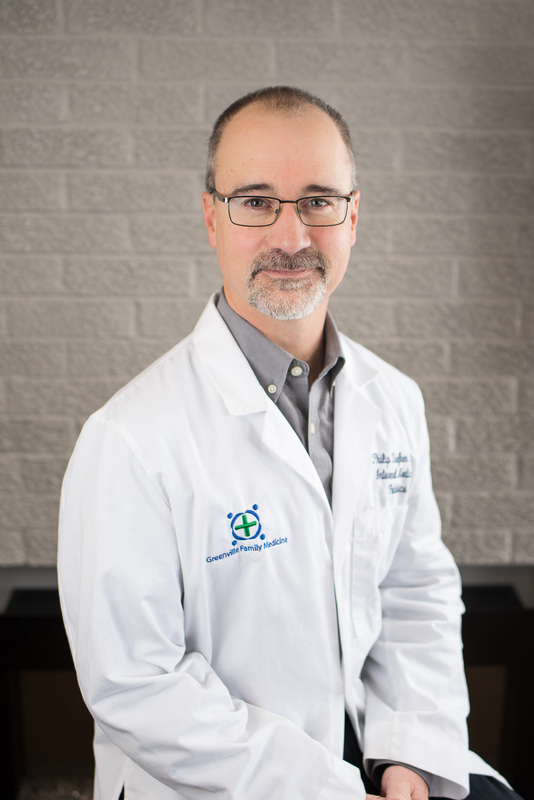 Dr. Siefken grew up in Greenville and Graduated from Greenville High School in 1982 and Greenville College in 1986. He graduated from the University of Illinois College of Medicine, Peoria in 1990. He completed a combined Residency in both Pediatrics and Internal Medicine at Methodist Hospital of Indiana in Indianapolis. Prior to returning back to Greenville, he worked in an inner city clinic in Indianapolis and then taught full time at Indiana University School of Medicine. He and Dr Kelsey Hopkins started Greenville Family Medicine in 2016 and affiliated with Mid-Illinois Medical Care Associates. He carries 2 sets of board qualifications to see both adults and children. 1982 - 1986 - B. A. – Chemistry Greenville College, Greenville, IL. 1986 - 1990 - M.D. - University of Illinois College of Medicine, Peoria, IL. Residency – Methodist Hospital of Indiana, Indianapolis, IN.